Unisex Leggings for yoga or active wear, cycling, dance and fitness for all body types through the day or evening. This design is called "Young Ones" in a Unisex Design with bright Red Poppy flowers and colorful abstract floral design. Art by Claire Bull. This is the wide band Yoga legging. 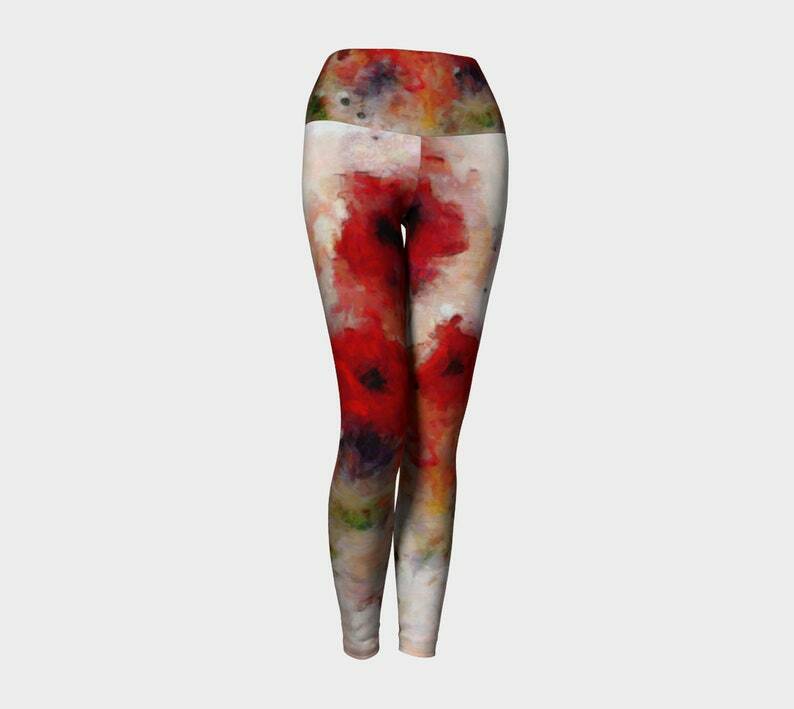 These leggings use Eco-Friendly fabric made with natural processes. The fabric is a Poly spandex SOFT blend of 88 percent Polyester and 12 percent Spandex with ultra stretch. Holds shape, medium weight fabric, soft and breathable for comfort and style. Elastic is High and Hugs to under the belly button with cover stitched hems. This is a custom made item with my artwork, created when you order it and each item is made to order. The items are Canadian made with environmentally friendly products. Art meets Fashion through creativity and passion.